Locating one of the best Chrysler Jeep Dodge Ram dealerships near you in the Baytown, area is simple and easy. 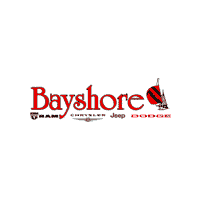 Bayshore Chrysler Dodge Jeep Ram offers reliable vehicle sales, auto financing, certified Chrysler Jeep Dodge Ram service, genuine parts and more. Whether you’re in Baytown, TX or down the road in Bayshore, we are confident that our car and truck dealer will be worth the visit. Bayshore Chrysler Dodge Jeep Ram is proud to be the Dodge Ram Chrysler Jeep dealer near me in the Baytown area. Contact us today for exceptional deals on new and used Dodge Ram Chrysler Jeep cars, trucks, SUVs and minivans near me, as well as Chrysler Jeep Dodge Ram service, repair, maintenance, parts & more. Plus, don’t forget to ask about our Chrysler Jeep Dodge Ram financing, lease deals & special offers.